Check out the Full Itinerary for this tour! Our tour is open to men and women. 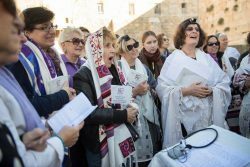 Women of the Wall’s central mission is to attain social and legal recognition of the right, as women, to wear prayer shawls, pray, and read from the Torah, collectively and aloud, at the Western Wall. We work to further our mission through social advocacy, education and empowerment. Join Women of the Wall for this special tour to Israel as we celebrate 30 years of activism while learning more about the complex narrative that exists in Israel and the importance of our mission. Visit sites of significance and hear from key speakers in Tel Aviv, Haifa, Tzfat and Jerusalem with stops along the way. Visit Elijah’s Cave and the Bahai Gardens, savor art and learn from a Kabbalist. Then join with Women of the Wall for the 30th Anniversary Celebration and pre- and post-Shabbat festivities! The Anniversary prayer service and program commemorates WOW’s three decades as the leading voice for women’s rights in Israel, along with Rosh Hodesh Adar II and International Women’s Day. Our Israel Tour will be co-led by Rabbi Pam Frydman of Congregation B’nai Emunah, Shifra Weiss-Penzias of Temple Beth El, and Rabbi Yocheved Mintz of Congregation P’nai Tikvah. Rabbi Susan Leider of Congregation Kol Shofar will join us in Jerusalem for the Women of the Wall’s 30th Anniversary Celebration. Everyone is welcome to join us on this tour! Our trip has been advertised by Congregation B’nai Emunah, San Francisco; Temple Beth El, Aptos; Congregation Emeth, Morgan Hill; Congregation Beth Jacob, Redwood City; Congregation Kol Shofar, San Rafael, Congregation P’nai Tikvah, Las Vegas; Chadeish Yameinu, Santa Cruz; Temple Beth Emet, Burbank; and Beth Chaim Congregation, Danville. Rabbi Pam Frydman, Congregation B'nai Emunah; Rabbi Paula Marcus, Temple Beth El; and Rabbi Yocheved Mintz, Congregation P'nai Tikvah. 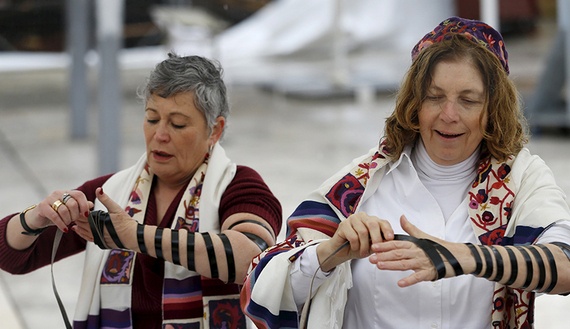 Rabbi Susan Leider of Congregation Kol Shofar will join us for the Women of the Wall's 30th Anniversary Celebration. See our list of congregational supporters in the tour details on the left.